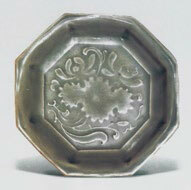 A small stoneware shallow saucer of octagonal form, the everted sides terminating into a flanged lip with a flat surface. 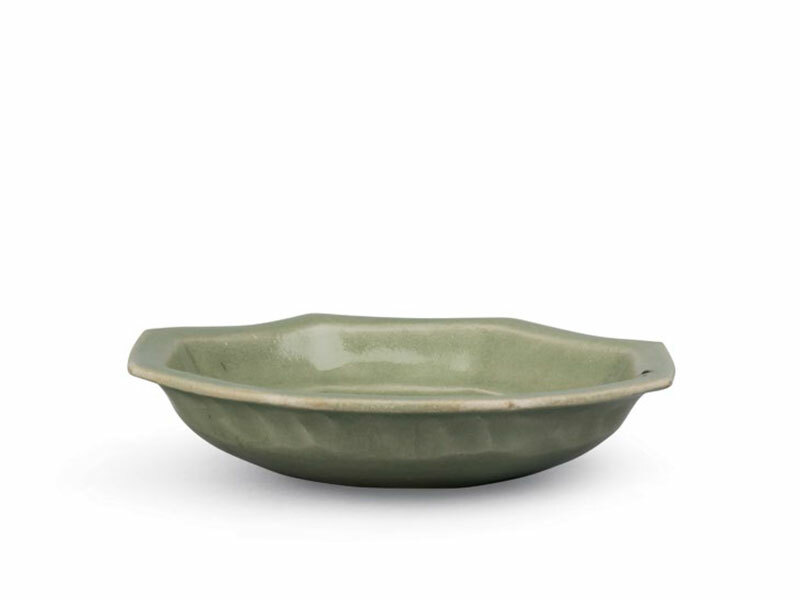 The saucer is supported on a recessed circular base with no foot. The interior of the saucer is mould-impressed with two lotuses blossoming above a large lotus leaf. The exterior of the bowl is plain. 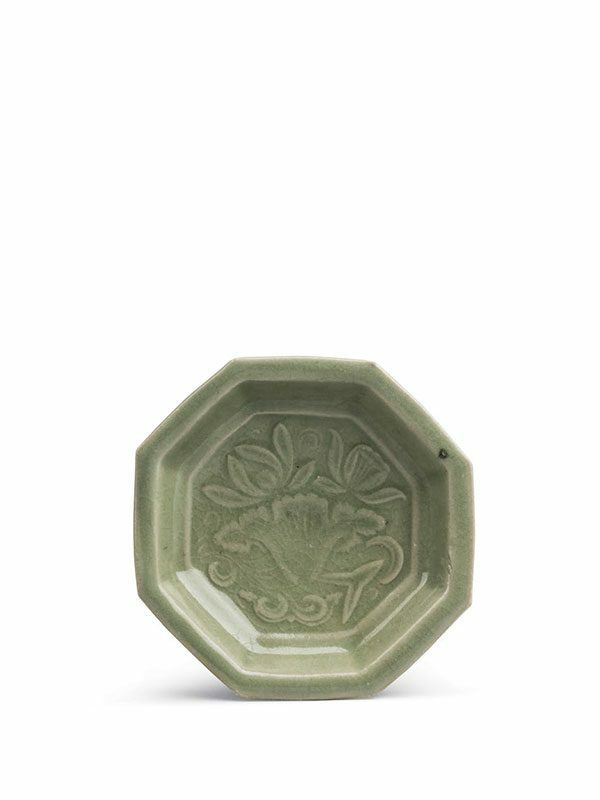 The saucer is covered in a lustrous, translucent olive-green glaze, which pools to a slightly darker tint in the recesses. The base and surrounding area are unglazed, revealing the fine grey stoneware, with a yellowish-buff tone. The base has clusters of kiln grit adhering.